This is Louisiana-style culinary entertainment at its best. As Louisiana natives, we are masters in the art of cooking and conversation. Put us in front of a crowd, and we’ll spend hours spinning stories about life in Louisiana, local culture, cuisine, and our history. 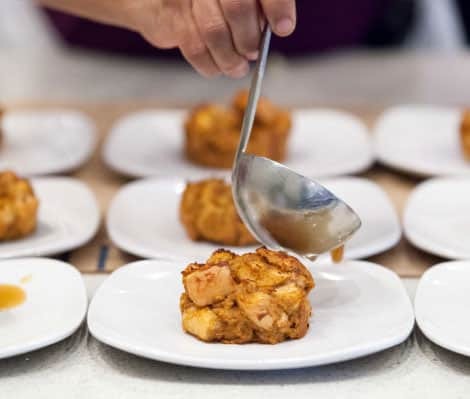 Think of our culinary entertainment events and New Orleans cooking demonstrations as an intensive crash course in one of Louisiana’s classic dishes. Our storytelling chefs weave classic and modern cooking techniques and ingredients together to bring an important Cajun or Creole dish to life in front of your eyes. 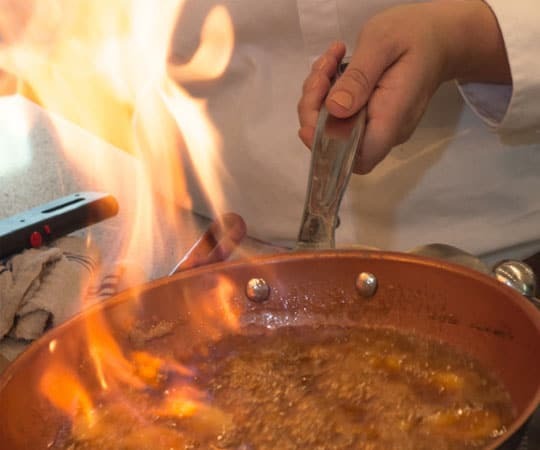 Take home the best souvenir from your visit to New Orleans: learn the secrets of Louisiana cooking and other culinary arts in a private cooking class at Langlois. Our chefs deliver the most entertaining and informative cooking class you’ll find in New Orleans. We offer an extensive roster of local cuisine and general cooking classes for private groups only, and we can customize private cooking classes to suit your group. Contact us by phone or e-mail for more information. 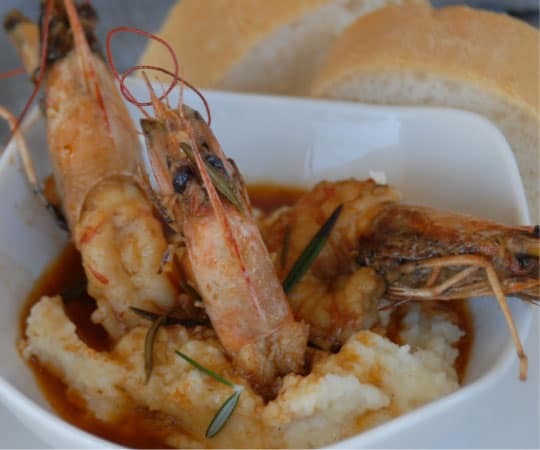 Our Cajun/Creole Dinner Party has a laidback, intimate atmosphere spiked with southern hospitality and Louisiana cuisine. This is more than a meal: guests are treated to an entertaining and interactive cooking demonstration that ends with a 4-course meal (recipes included!). We encourage our guests to join us in the kitchen! You may be stirring, tasting, or learning how to plate a dish. Many elements of the meal are prepared before you arrive, so you can take notes, ask questions, or enjoy a glass of wine. Our chefs travel to your home kitchen, meeting facility, or a local restaurant. We also work with various restaurants and private event venues that can provide a full meal during the demonstration. Looking for a unique team-building activity or event for your group while you’re in New Orleans? Allez cuisine! Take an Iron Chef-style cooking challenge with your group. Teams receive a box of mystery ingredients and work with a Langlois chef to develop, plate, and present a unique dish to our judges. Groups are tasked with coming up with team names, preparing and cooking a dish, and presenting the dish.Our Culinary Competitions are a 2-hour activity and do not include a meal. Small tastings may be offered to groups of 20 or less, but for logistical reasons, tastings cannot be provided for larger groups.